For better or worse I can run my business from almost anywhere. Ideally I’m doing this from my desk with a proper keyboard and a 27" screen, but that’s not how real life plays out. A lot of times, I need to get work done while I’m out running errands or waiting in a doctor’s office. In those cases, I have to make the most of what’s available to me. I’m very guilty of trying out the latest and greatest apps. My home screen is constantly changing as I try to find the “perfect” setup. Despite all the chaos, there are a few that really stand out as favourites. In no particular order, here are 5 iOS apps that help me stay productive while I’m away from my office. Drafts 4: This is where most of the text I create begins. Think of Drafts like a super powered scratch pad. Text can be sent out to apps like Twitter or Facebook, or appended to a running list in Dropbox or Evernote. Workflow: Workflow brings automation to iOS with a very easy to learn interface. The workflows you create (download a file from mobile Safari, shorten URL, cross post to multiple sites, etc.) can be saved to the Home Screen, so they become these great single-use apps that would normally take several steps. Dispatch: When I just need to scan email and reply to one or two messages, the default mail app is great. If I really want to get a lot done though, I use Dispatch. Dispatch adds a lot of extra options to processing email. I can send emails directly to OmniFocus, turn them into PDF’s, or unsubscribe to newsletters. OmniFocus 2 for iPad: If you need an app to keep a grocery list, or track one or two projects, OmniFocus is overkill. It’s pricey, it’s has a lot of features to learn, but if you manage a lot of clients and want to use a powerful task management app, I think this is the best one out there. 1Password: This is the easiest one to justify. If you want to be safe online, you can’t use the same password for each site. Instead of trying to remember them all, or writing them down, using a password manager is an amazing way to keep yourself safe. You remember 1 password (see what they did there?) and let 1Password create complex passwords for each of your sites. Having the mobile app means I can safely login to all my sites on the go. This isn’t one specific app so it doesn’t officially make the list, but it’s important enough to mention none the less. I think it’s safe to say that the various bank apps I use each day make the top 5 most used apps on my phone. I am constantly checking balances, making transfers, paying bills, and verifying deposits. I’m pretty sure I do more banking on my phone than anywhere else, and that ability has been a huge boost to my productivity. Despite the surge of cloud based accounting software, I know many of you are still using offline desktop applications. For me, my weapon of choice is QuickBooks. One of the major reasons I still like using QuickBooks is speed. No matter how many bells and whistles an online service adds, it still can’t replicate the speed of a local app, especially when that app has some keyboard shortcuts. The more I have to leave the keyboard and use the mouse, the less productive I’m going to be, and the less likely I am to use that app for work. Say what you will about MS Office, but you can get an awful lot done in a Word doc or an Excel spreadsheet without lifting your hands off the keys. QuickBooks doesn’t have nearly the same range of options, but I wanted to point out a few that have really sped up my daily data entry. 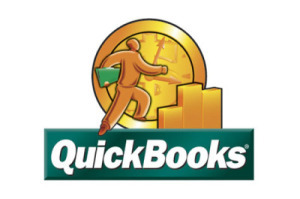 For anyone who uses QuickBooks, I think these are pretty self-explanatory. The last one on the list has been an absolute game changer for me. I know…that sounds a bit hyperbolic…but I mean it. Bookkeepers…if you’re not using Ctrl + Enter yet…give it a shot. If you’ve got a big stack of invoices or bills to enter, that extra second or two it takes you to move your hand from the keyboard to the mouse and then find a click the “Save & New” on each bill really adds up over time. If you don’t believe me, just try to plough through 100 receipts in an afternoon in any online app. The constant movement between mouse and keyboard will drive you crazy by the 15th receipt. I hope this is news to some of you, and that it helps speed up your bookkeeping. Do you have some QuickBooks tips of your own? Keyboard shortcuts you use all the time that I didn’t mention? Please let me know in the comments or contact me. I always love to find new ways to speed up my work. In today's tough economy, it can be difficult for a business to obtain the financing they need for start up costs or for expanding their current business. Alternative business financing options can provide the business the funds they need in non-traditional ways. Here are four alternative business financing options that can turn the “no” from a bank into cash for your business. Angel investors are typically private affluent entrepreneurs who use their personal funds to invest in businesses. They provide the necessary financing in exchange for equity ownership. In general, angel investors invest in industries they are familiar with and have either worked in or invested in previously. They bring a valuable voice of experience and an already established network that can give your business an edge against your bank-funded competition. According to recent statistics, approximately 2/3 of new business funding is obtained through angel investors. Venture capitalists are similar to angel investors, but rather than investing their own money, they invest from a pool of funds from their clients. Typically, venture capitalists fund large projects that require substantial financing. They also tend to stick with high-risk/high-reward opportunities. They provide financing in exchange for stocks or shares of your business and once your business reaches a certain size and market value, they liquidate their stocks. Venture capitalist funding is not a loan that needs to be repaid rather they receive their cash when your business goes public or when it is acquired by another company. The term crowd sourcing has been around since 2006, but the concept has only recently started to grow in popularity. One way to improve your chances of obtaining the business capital you need is through peer to peer (P2P) lending or crowd sourcing. P2P lending is financing you receive from the average person in small increments until you have the total amount needed. There are websites dedicated to hooking up potential business owners with potential lenders. Crowd sourcing works in similar ways and allows you to obtain the funding you need from multiple sources in exchange for an offered benefit from you to the lender. It can be shares in the company, free products or services or some other mutually agreeable perk. There are many crowd sourcing sites available online. Bootstrapping refers to a business that starts up with no external help. It is solely financed by their own personal funds and if done correctly, can allow you to retain sole ownership of your business, provide more freedom and flexibility and make your business more appealing for future investors. Bootstrapping your business also forces you to focus solely on pleasing your customer rather than worrying about your angel or venture capitalist investor's demands. When a business is financed and depends on personal funds and cash flow generated by the business, there is a more concentrated effort to succeed. It is more difficult to lose your own funds rather than the funds from strangers you have never met. Sara Mackey works for Connexx.com, an authoritative guide in the field of small business finance. She has worked in small business financing for nearly a decade. If you’ve been thinking about taking your business online, now is the time to do so. Despite economic struggles, more and more people are turning to the internet to do business. While there are several ways on how to advertise your business online, I strongly encourage you to consider Google Adwords. When building your keyword lists for your ad groups, you’ll also want to build negative keywords. These are words that you tell Adwords not to trigger your ads for like free, inexpensive, cheap, etc. Simply click on the keyword tab, scroll to the bottom, and you’ll see where to enter the negative keywords. You’ll never know what people respond to until you try different kinds of ad copy. Do this: create two different ads for each ad group, run them for a couple weeks, and see which one does better. Then, delete the weaker and try to outperform the stronger. This will not only bring you more traffic, but Google will reward you by lowering your cost per click. These few tips will help to create a better overall experience with your Adwords campaign. Like I mentioned, there are many effective ways on how to advertise your business, but Adwords provides the quickest way to get to the first page of Google. This guest post was contributed by Brandon Jones. Brandon Jones is a Google Certified Partner. He publishes free internet marketing tips on his blog www.MyGoogleMarketing.net.